Are you sensing a theme here? 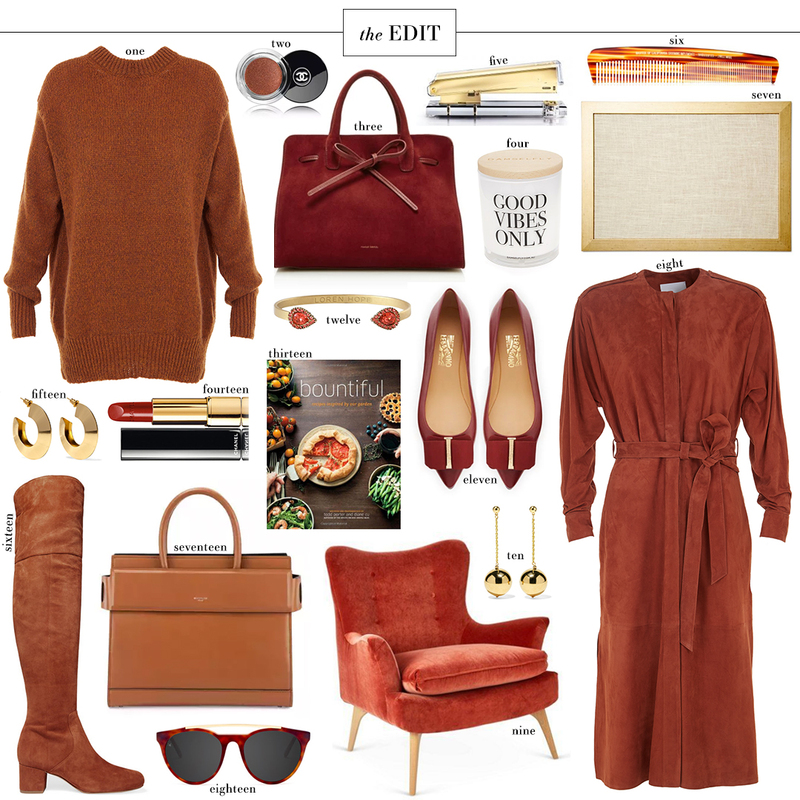 I’ve got one color on my mind for fall: cognac. This year there are many variations of it, some leaning more towards burnt orange, and others more red like rust. I love ALL of it! It’s just such a rich, dreamy color. Maybe I just want to work my wardrobe around the changing leaves? Whatever the reason is, I plan on stocking my closet full of items like these boots (under $300! ), this wrap sweater and more. I have a similar pair of flat over-the-knee boots I bought on sale last fall (I spent $600), and wore the hell outta them all season long. They were worth the splurge, but the price point on this new pair just can’t be beat for such a sleek style. For my Longhorn friends in Austin, you’ve gotta check out Tibi’s fall collection – it is FULL of burnt orange pieces you’ll want for games this fall/winter. A few favorites include this simple off-the-shoulder top, this slouchy sweater, and this suede skirt. So pretty! I love this color because it is so close to tan. I need these ferragamo flats, so cute. So many chic options! Obsessed with this palette! Tibi’s pre fall and fall collections are so good! Oh my this makes me ready for fall! Love the rust colors and your post is making me excited for FALL! I am loving this color too for fall! I different take on camel I would say!